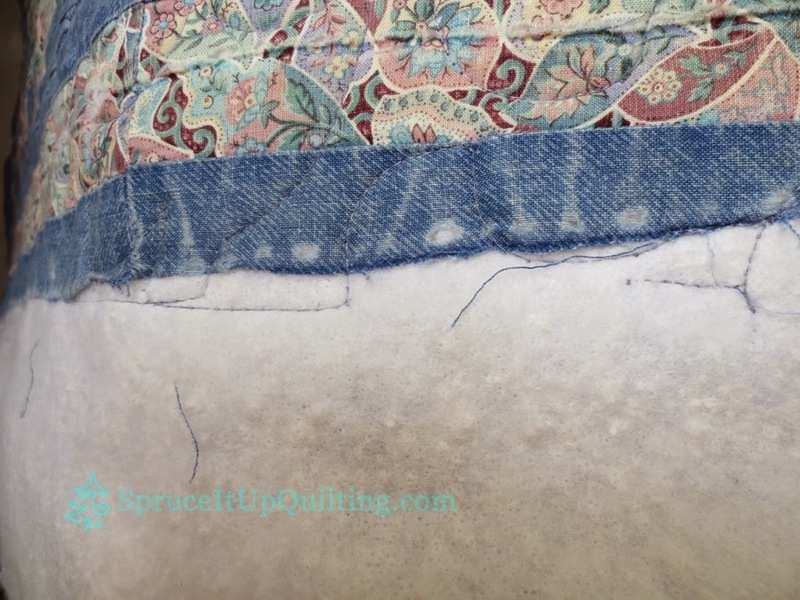 Spruce It Up Quilting: A Repair To Remember! I cleaned up the reverse side of the top, freeing all the lumps of fluff matted with threads, trimmed the binding off since the stitching had ripped the border fabric. There are still some threadbare areas but I think this can be allowed in the binding. 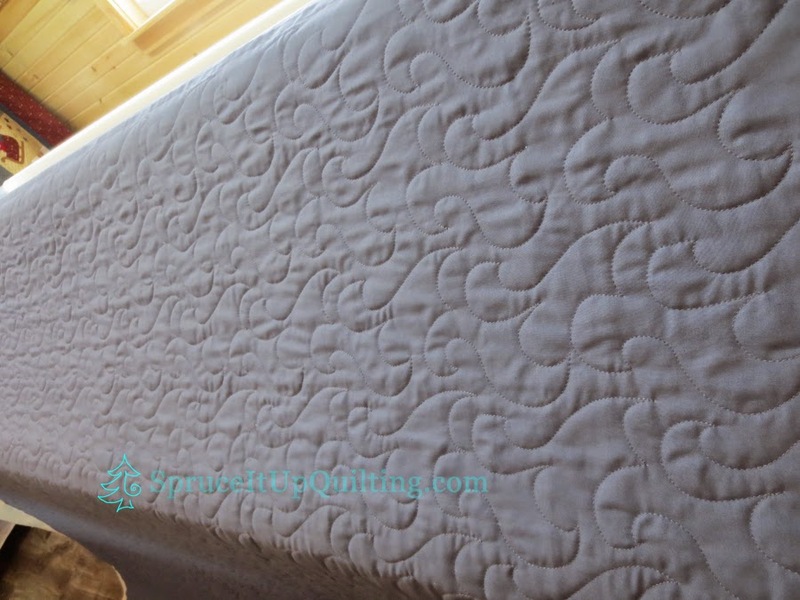 This fabric is getting very thin so hopefully the cotton batting and the quilting will keep it together a little longer. Sometime before I was done for the day on Monday, the bobbin thread caught on the bobbin case in such a way that it caused increased tension in certain spots. 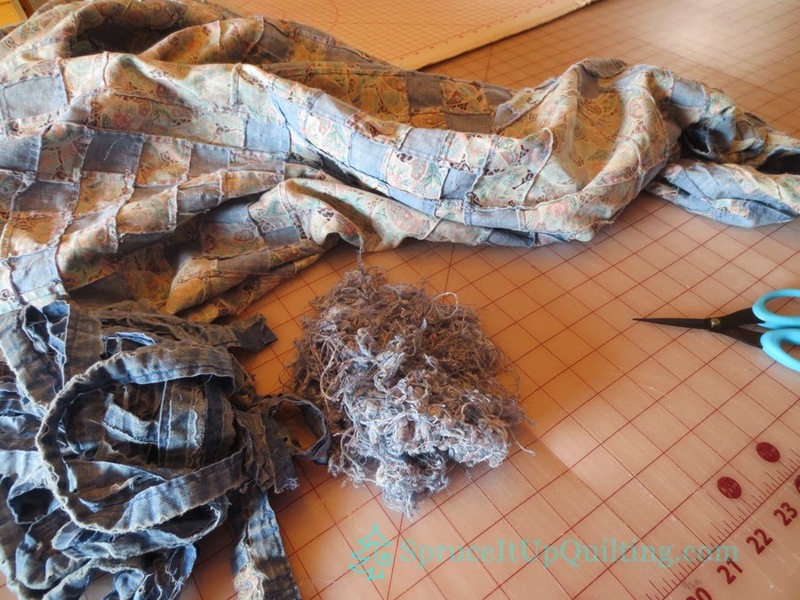 Lolah was making a funny noise so I stopped quilting to check the thread and nothing was apparent... so I continued on... Later it was apparent that the beginning of the row needed to come out. It was quitting time... Frogging (rip it! rip it!) had to wait! I was up early today to get this done; I started picking out the stitches at the beginning of the row and put in a pin where I needed to end the ripping out. 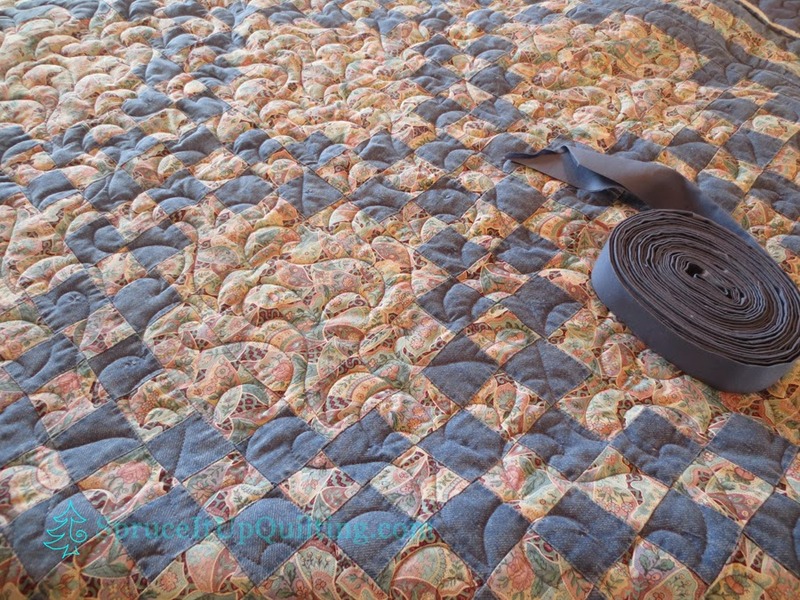 When I reached that point, I inserted Lolah's needle and quilted my way back to the beginning of the row. This is one of my favorite pantos: Chinese Crescents by Keryn Emmerson. Have you ever "encountered" a smell that reminds you of someone, something, some event?? Well, while working on this quilt, I could "smell" my father!! It was just what I needed... his guidance, his love and his faith! I won't forget this quilt... not just because of its issues, but because our mother made it with patience and love, to give to her grand-daughter Allison in recognition of all her achievements. I played a very small part in its creation and now, I've had this chance to make it last a little longer. 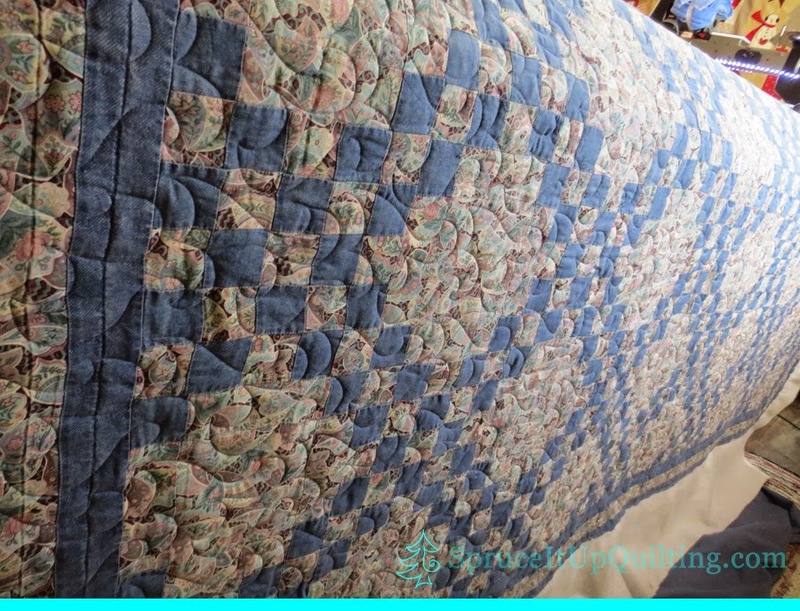 I can see my father patiently sit in the car while she shopped for the fabric to make this quilt, or for some other sewing/knitting or crafty project. I like to remember how he used to hover over mother while she sewed to examine her work! He did the same anytime one of his girls would be working on some project. 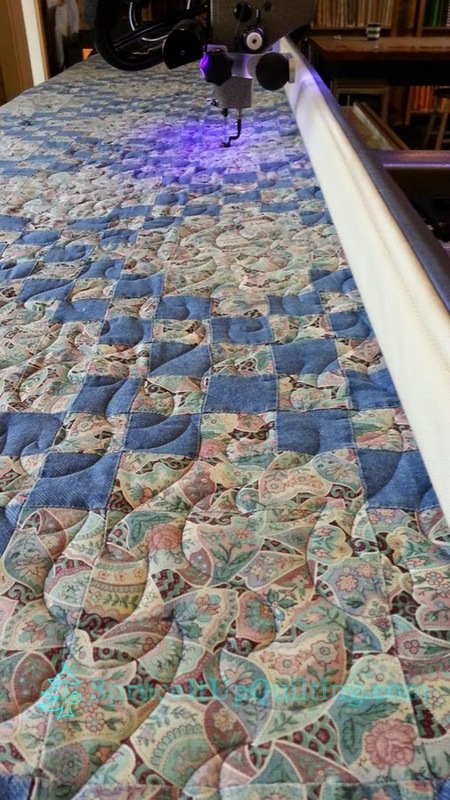 I would like to think he'd be happy to see this quilt repaired, ready to wrap Allison in the love her family has for her! I felt so many emotions while reading your post. 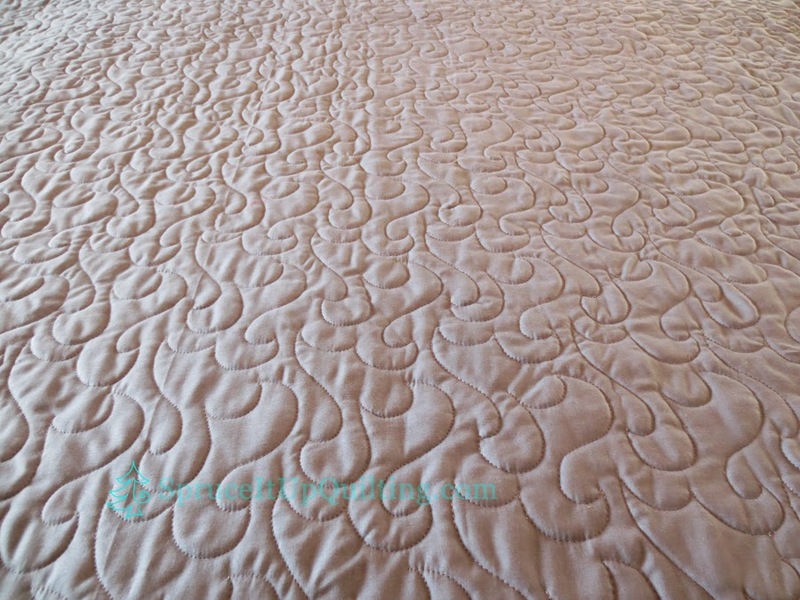 Happy that you were repairing a loved quilt, sad that you missed your father but were comforted by his "smell". So many memories. Hello Catherine, thank you so much for stopping by. Yes it was emotional for me too working on this quilt but also a pleasure to feel Mom & Dad with me during the process. I believe they would be happy to see it revived and thrilled that Allison can enjoy it longer! 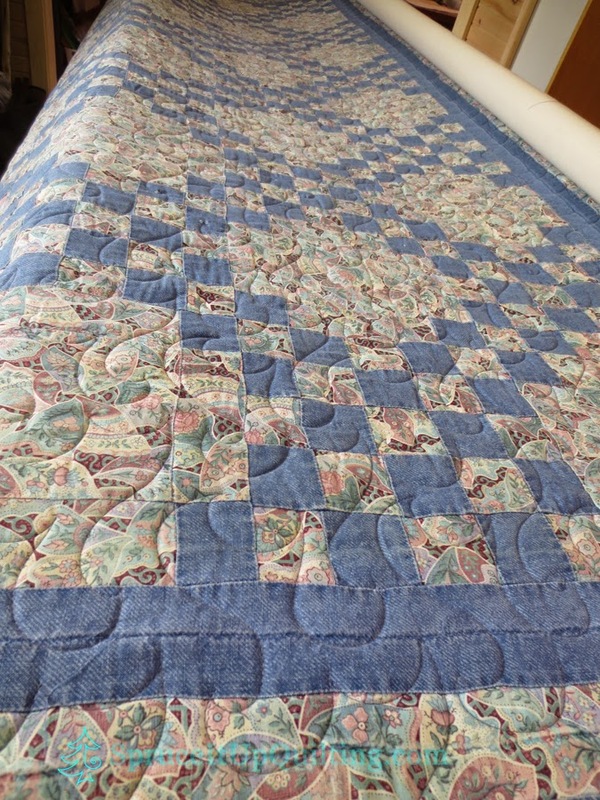 Great job on the quilt, and a nice story to go with it. Thanks for stopping by my blog, I couldn't find an email address to reply. Have not made it to your shop yet but I look forward to doing so - hearing very nice things. Hi Karen, I'm looking forward to your visit! We need to chat! 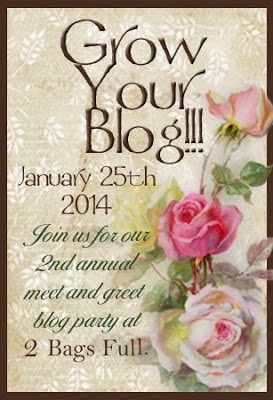 I've been a long-time admirer of your blog! Thank you for visiting mine and commenting. I don't know how to deal with this email issue yet! perhaps you'd have some pointers!